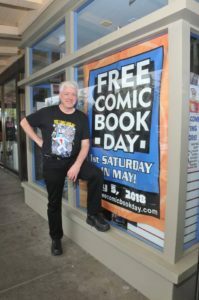 Free Comic Book Day was founded in 2002 by ComicsPRO member, and former board member, Joe Field, owner of Flying Colors Comics & Other Cool Stuff in Concord, CA, who saw the success of Baskin Robbins’ free ice cream day, and saw it as a great opportunity to bring in new customers and to delight established fans. 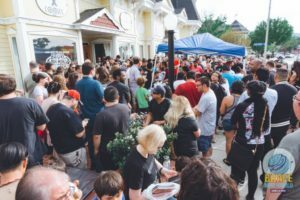 Since 2002, Free Comic Book Day has grown and grown into something truly amazing! 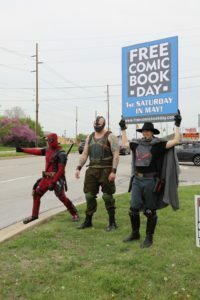 It’s a worldwide celebration of comics, with stores giving away thousands upon thousands of free comics, and hosting parties with costumes, sales, creator signings, and more! 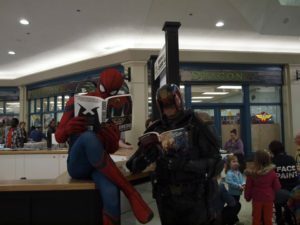 This year, 2300 stores participated in Free Comic Book Day, purchasing 5.7 million comics to put into the hands of their customers. 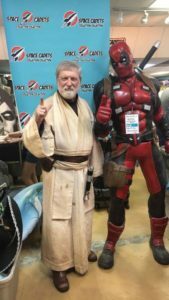 We caught up with some of our ComicsPRO member stores to see how they celebrated the day. 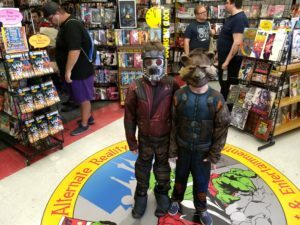 The highlight of our day was from an idea we received at ComicsPRO from the Utah Nerd Store dudes — they do a big raffle each year, and this year we debuted the Epic Raffle at BNW. People had to be present to win and they were! 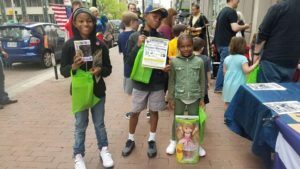 Over 100 winning tickets were pulled from over $3000 in prizes. It was epic. So many smiles! 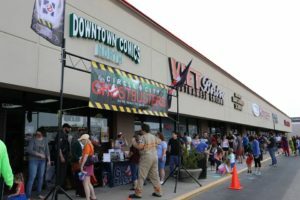 A massive FCBD at all 3 locations at Downtown Comics in Indianapolis helped raise $1800 for the Peyton Manning Children’s Hospital, with the help of the Circle City Ghostbusters! We did a 10% sale off everything. Customers were allowed to take 1 of every book as long as supplies lasted. 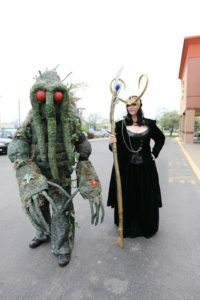 We had to restock the large location twice with the other 2 locations’ FCBD books. 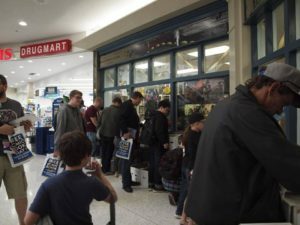 We passed out over 15,000 FCBD books to hungry readers and recorded record sales at all 3 locations. 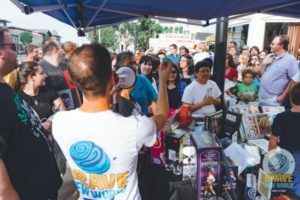 Since the first year we have operated, we advertise the event as a fundraiser for Nourishment for the Needy, a local charity which serves our direct community. We ask customers to bring 1 canned good or $1 to donate for each 3 books they would like to pick up. We limit to one of each title, so if they bring enough for all 50 titles, they’ve got them. We also do raffles for charity from items donated from businesses in the community and give them thanks. We raised $810 and filled 16 boxes full of canned goods. We brought in 3 guests. Two Alterna Comics creators (Michael Bracco and Jordan Hart) and one end credits of Deadpool (Justin Harder) who grew up here. Amazing guests because they work so hard! 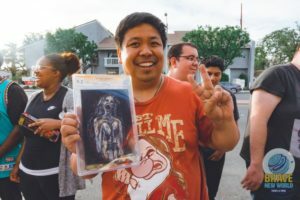 We had an amazing high school teacher and his students outside teaching drawing classes and face painting. We look at the day as a chance to welcome new people who have never been in. Everyone wears a happy face. 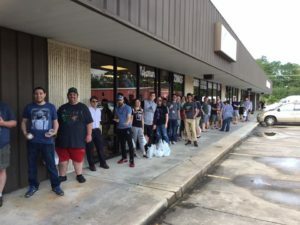 We are blessed beyond measure to be able to have the support of our loyal customer base in this crowded Houston market. 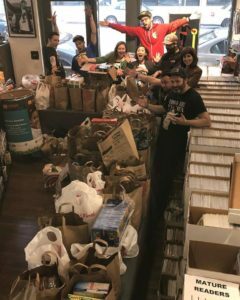 We team up with a local tattoo shop, Sacred Tattoo Oakland, and do a food drive for the Alameda County Community Food Bank. 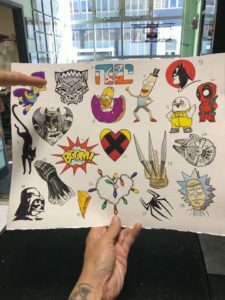 Everyone who comes in gets free comics that day, but if you donate food to the food drive you get twice as many free comics, and if you donate $40 worth of food (with a receipt) you get four times as many free comics and the folks down at Sacred Tattoo Oakland will give you a free comic book themed tattoo! We also get a taco truck to park out front and have free beer inside for adults. 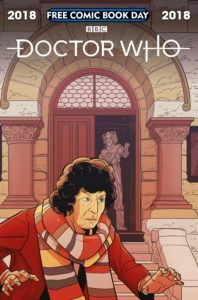 More Fun Comics and Games was proud to introduce an exclusive Doctor Who cover by Denton artist Jake Ekiss featuring the iconic Denton Courthouse on the cover at FCBD 2018! 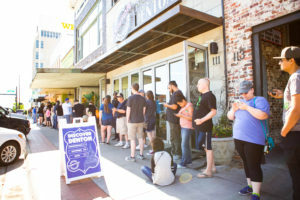 People were lined up down the block in anticipation of getting their copy in addition to the array of FCBD books available. Plus, many got their book signed by the artist himself! 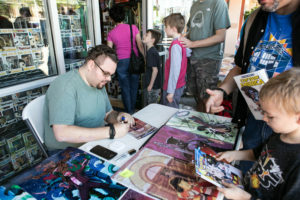 We also featured local artist Devin Kraft, signing his custom Sonic the Hedgehog. 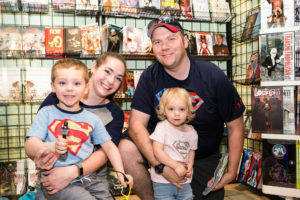 FCBD is a fun celebration of comics and fandom that More Fun Comics and Games is thrilled to host every year and we love seeing fans of all ages enjoy the day together! 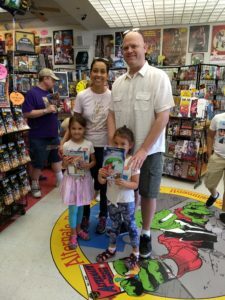 We give everyone who comes in five free FCBD titles. 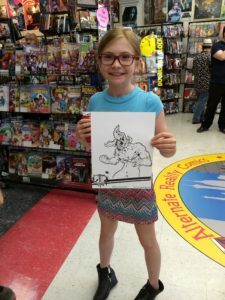 We had three local artists drawing for people and we had a big display of select highly recommended graphic novels for 25% off. 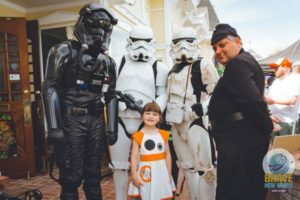 We had an absolutely amazing day, with so many happy faces! 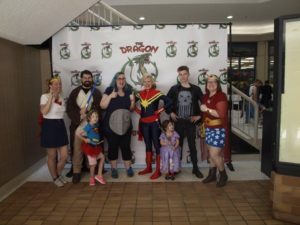 We had face painting and Harry Potter wand making, and lots of costumed characters in attendance, including the whole staff. Plus we had a deep discount book sale, and a backissue blitz (a now-annual tradition). 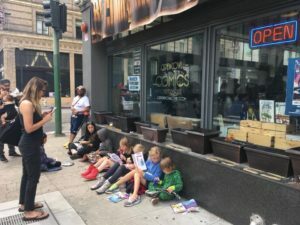 Everyone got 5 free comics, and 5 more for every $10 they spent in the store. 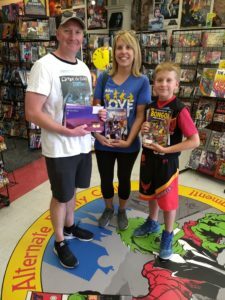 We had a record-breaking sales day as a result, and gave away more comics than ever! NextNext post:Why all reviews matter, especially the negative ones.